Wilmington, Delaware — Pets nationwide continue to be at risk for heartworm disease, according to survey results just released by the American Heartworm Society (AHS). The data documents heartworm-positive pets in each of the contiguous United States and Hawaii, as well as in almost every county and parish. The American Heartworm Incidence Survey is conducted every three years to track trends in heartworm incidence, using data from clinic heartworm testing and numbers of heartworm-positive dogs and cats. 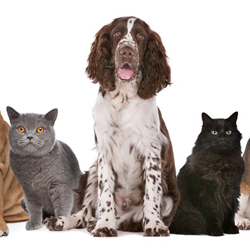 AHS gathered the 2010 data from more than 5,000 veterinary clinics across the country. “It’s troubling to see how widespread heartworm infection continues to be, especially when prevention is so simple,” says AHS President Wallace Graham, DVM. He notes that in the most heartworm-endemic areas of the country, some veterinary clinics had up to 100 infected dogs or more, while animal shelters documented incidence as high as 70 percent. Numbers such as these are significant because infected animals can die of the disease and serve as reservoirs for further spread of the heartworm parasite. Typically runs less than ten percent of the cost of treatment. In addition, some heartworm medications treat other parasites as well. Graham, following these guidelines is the only way to reduce the incidence of the deadly, but preventable, disease. Graham adds that while areas such as the Mississippi Delta are notorious for a high incidence of heartworm disease, patterns of transmission vary from year to year. Mosquitoes breed in standing water, so hot weather, precipitation and flooding —as in the case of spring 2011—can cause shifts in mosquito populations. Meanwhile, infected wildlife in both urban and rural areas also affects heartworm transmission rates. “With so many factors in play, prevention is the only sure way for pets to be protected,” Graham concludes. Heartworm disease is one of the leading pet health problems in the United States; it is estimated that approximately one million pets in the U.S. are heartworm-positive. The disease is transmitted through the bite of mosquitoes carrying the parasite. Left untreated, heartworm infection can lead to severe lung disease, heart failure, organ damage and death. Both dogs and cats can develop heartworm disease. 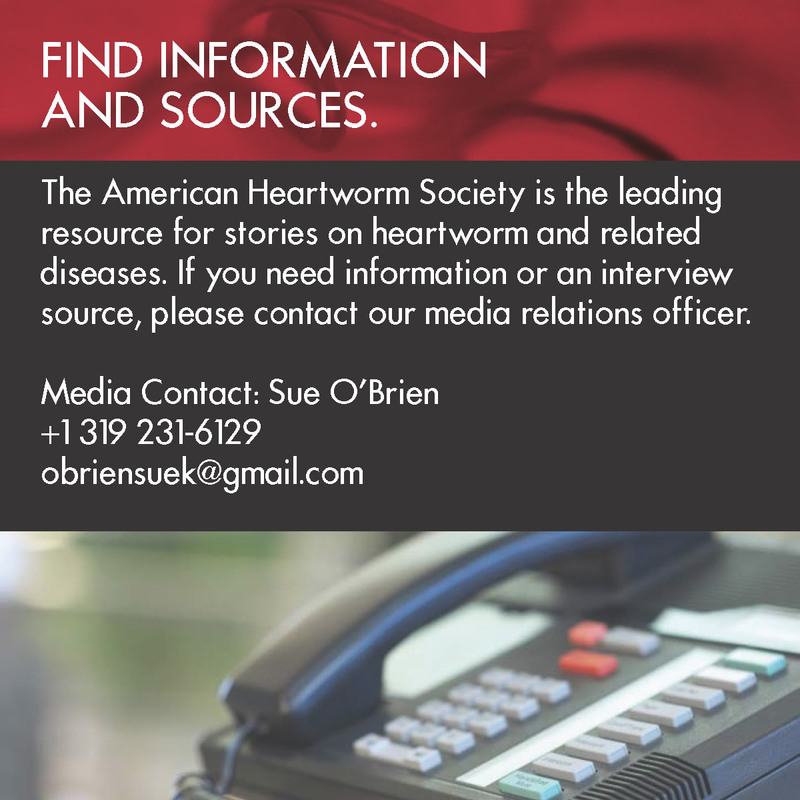 The mission of the American Heartworm Society is to lead the veterinary profession and the public in the understanding of heartworm disease. Founded during the Heartworm Symposium of 1974, the American Heartworm Society aims to further scientific progress in the study of heartworm disease, inform the membership of new developments and encourage and help promote effective procedures for the diagnosis, treatment and prevention of heartworm disease.